Image registration lies in the core of augmented reality (AR), which aligns the virtual scene with the reality. In AR surgical navigation, the performance of image registration is vital to the surgical outcome. 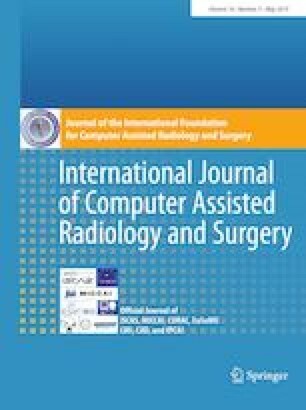 This paper presents a practical marker-less image registration method for AR-guided oral and maxillofacial surgery where a virtual scene is generated and mixed with reality to guide surgical operation or provide surgical outcome visualization in the manner of video see-through overlay. An intraoral 3D scanner is employed to acquire the patient’s teeth shape model intraoperatively. The shape model is then registered with a custom-made stereo camera system using a novel 3D stereo matching algorithm and with the patient’s CT-derived 3D model using an iterative closest point scheme, respectively. By leveraging the intraoral 3D scanner, the CT space and the stereo camera space are associated so that surrounding anatomical models and virtual implants could be overlaid on the camera’s view to achieve AR surgical navigation. Jaw phantom experiments were performed to evaluate the target registration error of the overlay, which yielded an average error of less than 0.50 mm with the time cost less than 0.5 s. Volunteer trial was also conducted to show the clinical feasibility. The proposed registration method does not rely on any external fiducial markers attached to the patient. It performs automatically so as to maintain a correct AR scene, overcoming the misalignment difficulty caused by patient’s movement. Therefore, it is noninvasive and practical in oral and maxillofacial surgery. This work was partially supported by National Natural Science Foundation of China (Grant No. 61701014). All procedures performed in studies involving human participants were in accordance with the ethical standards of our institutional review board and with the 1964 Helsinki Declaration and its later amendments or comparable ethical standards.